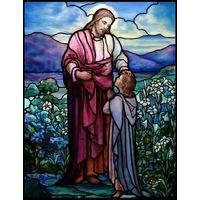 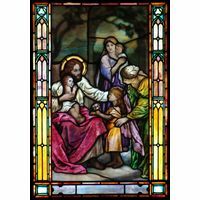 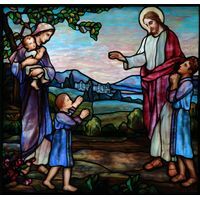 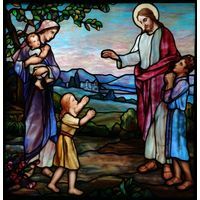 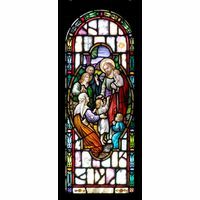 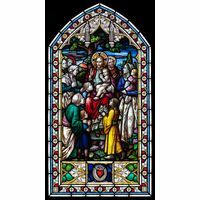 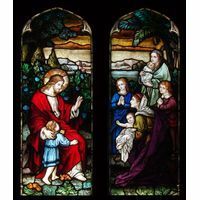 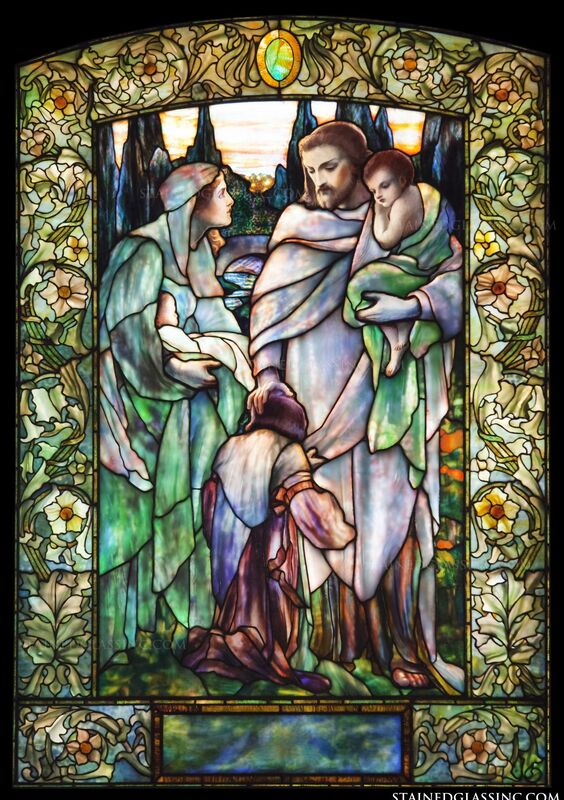 This Tiffany style stained glass window pictures Jesus blessing the little children. 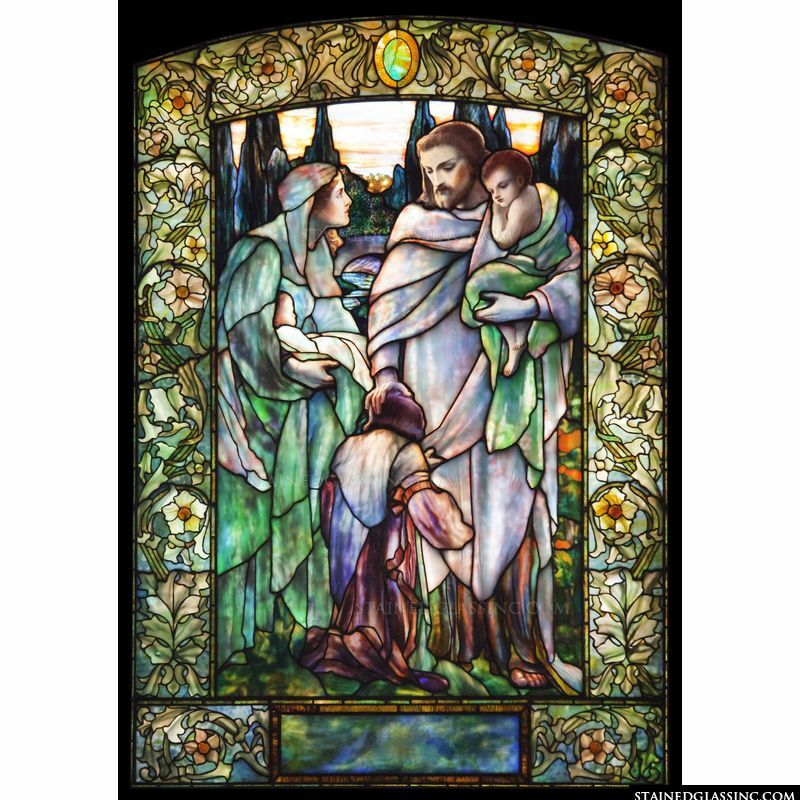 The beautiful colors and floral frame add something really special to this panel, offering a heartwarming interpretation of this beloved scene of the Christian faith. 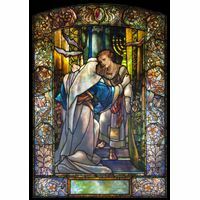 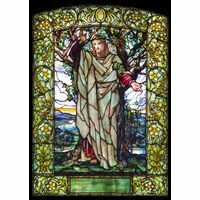 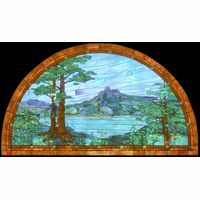 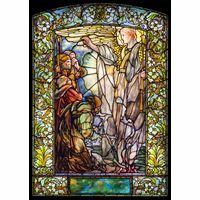 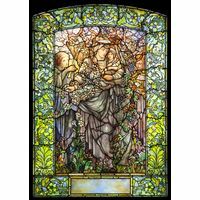 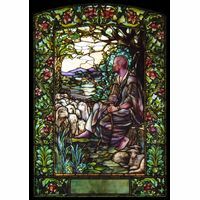 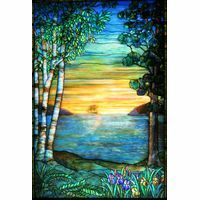 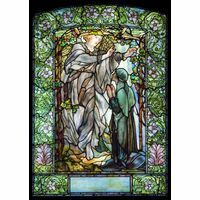 Our stained glass catalog offers a number of interpretations of this special scene but none that integrate nature and the Tiffany style in such a breathtaking way. 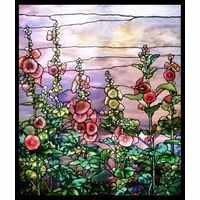 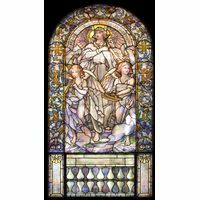 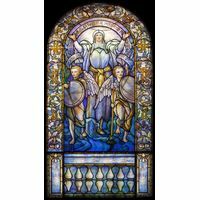 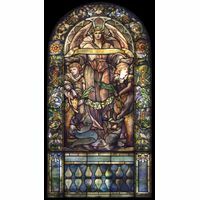 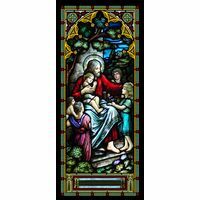 This phenomenal stained glass window can become the focal point in a church, chapel, or home.